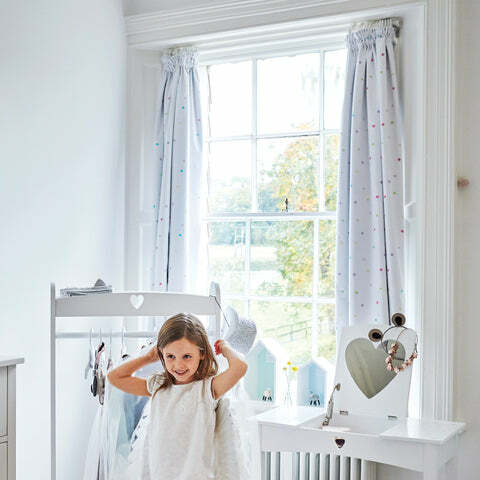 Children's Blackout Curtains - Confetti Spot, W135 x L137 cm | Great Little Trading Co. Please request a Free Swatch for help with colour matching. These pretty blackout curtains will look great with our coordinating Kids' Bedding, Rugs & Wallpaper.